McCauley & Co.Make It Your Best Year Ever With this Simple 3 Step Plan! 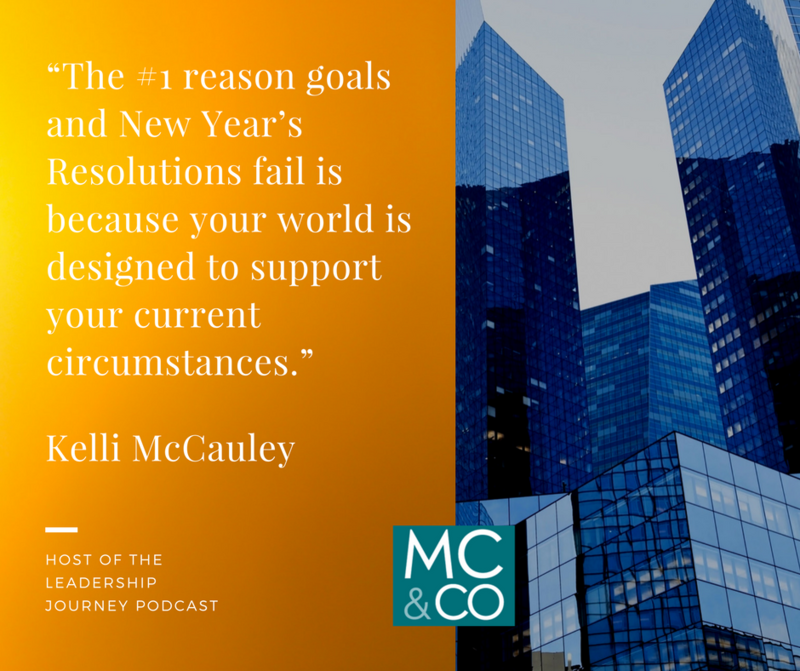 - McCauley & Co.
Any google search will tell you the odds are against you sticking to your New Year’s resolution or any big goal. Why? Because changing behavior is hard and most people take on change without setting themselves up to win. The good news is, there is a formula you can use to beat the odds and land in the winner’s circle. The #1 reason goals and New Year’s Resolutions fail is because your world is designed to support your current circumstances. To achieve your best version of yourself, your environment must reinforce and bring out the ideal YOU, every day. Whether professional or personal, there are three steps you can take if you really want to achieve your most important goals at any time of the year. Here’s what you’ll need; a meaningful goal, a plan and a success partner. Listen in as I talk about the three simple steps to achieving your goals on your terms. You’ll also learn about how creating “Goal Guard Rails” will keep you from getting sucked back into your old habits. Here’s to your best year ever being created by YOU! Listening time duration: 12 min 09 sec. Want to take your leadership skills to the next level? Click here to find out more about the Blueprint for High Performing Leaders.